We're proud of our Club owned fleet of trainers and solo aircraft. We also have two tow planes. We try to give our members every opportunity to fly! Login required to see more detailed info on each aircraft. Description: The ASK 21 is a glass-reinforced plastic (GRP) two-seater mid-wing glider aircraft with a T-tail. The ASK 21 is designed for beginner instruction, cross-country flying and aerobatic instruction. It can be used for spin training with tailweights added. Description: The G102 Astir is a single seat fibreglas 15m Standard Class sailplane with a retractable wheel, designed by and built by Grob Aircraft, with the first flight in December 1974. The large wing area gives good low-speed handling characteristics, docile stalling characteristics, a excellent climb. It is also certified for aerobatic flight. Description: The two-seat all-metal L13AC Blaník is an upgraded version of the L13 Blanik. It has no outstanding ADs requiring compliance. 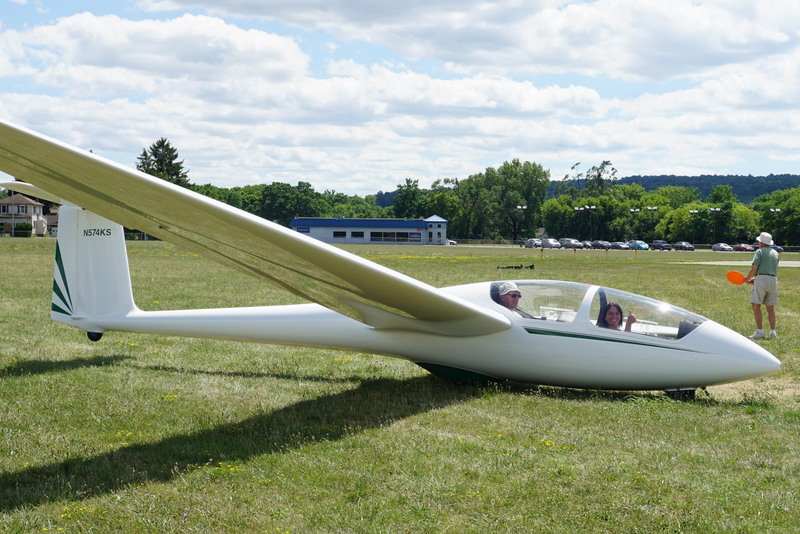 It is an excellent robust aircraft for glider training, spin training, and aerobatics. The main wheel is semi-retractable equipped with a shock absorber. It has the same cockpit as the L23 Super Blanik with a one piece canopy, the L13 tail, and shortened L23 wings without flaps. Our glider has a radio and upgraded (strengthened) tailboom modification. Description: Our Club is very happy to have a glider simulator available for our students. This Mach 0.1 is the same simulator used very successfully at the USAF Academy. 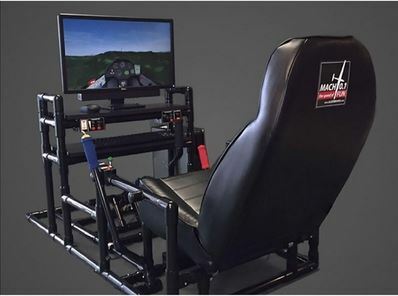 The Mach 0.1 Glider Cockpit Simulator, developed by well known instructor and glider pilot Russell Holtz, is equipped with integrated flight controls. The Mach 0.1 is designed to be used with Condor, and features an integrated stick, trim lever, adjustable rudder pedals, airbrake handle, gear handle, and panel mounted release handle. When imported it was registered in the USA - as an A model. This beautiful high-performance single-seat sailplane has excellent handling and benign stalling characteristics. It has a claimed maximum L/D = 41. We purchased it from Doug Cline in 2019. Description: The Schweizer SGS 1-26 is a United States One-Design, single-seat, mid-wing glider built by Schweizer Aircraft of Elmira, New York. The SGS 1-26 enjoyed a very long production run from its first flight in 1954 until 1979, when production was ended. The 1-26 was replaced in production by the Schweizer SGS 1-36 Sprite. 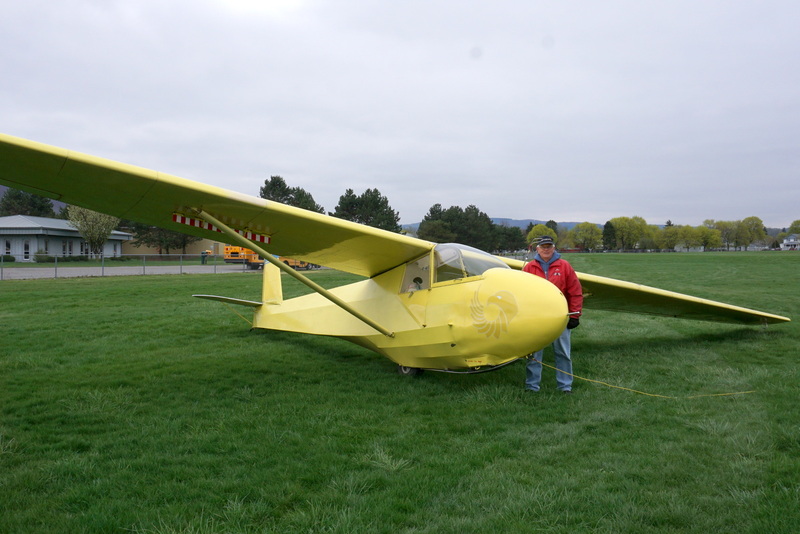 The 1-26 is the most numerous sailplane found in the US. 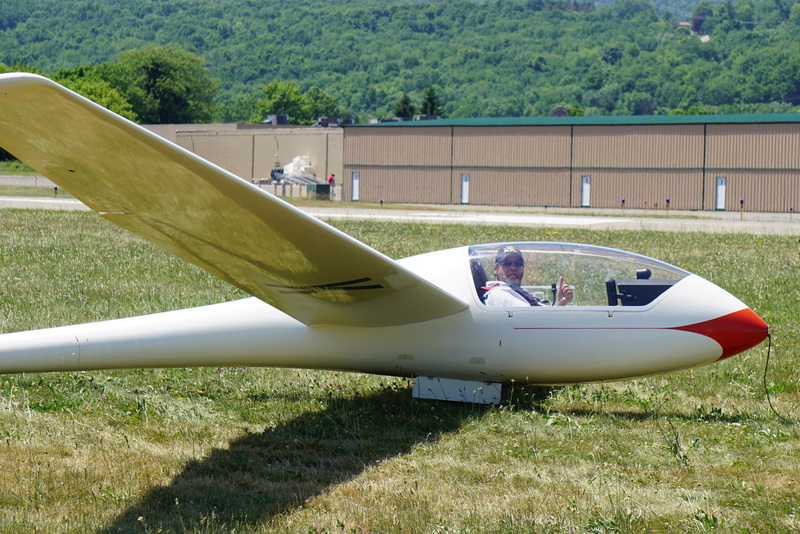 Due to its light weight, it climbs well, stalls benignly, will land in an incredibly short distance (due to the nose skid), and is an excellent glider for transitioning after solo and first cross country attempts. Description: The Schweizer SGS 2-33 is an American two-seat, high-wing, strut-braced, training glider that was built by Schweizer Aircraft of Elmira, New York. 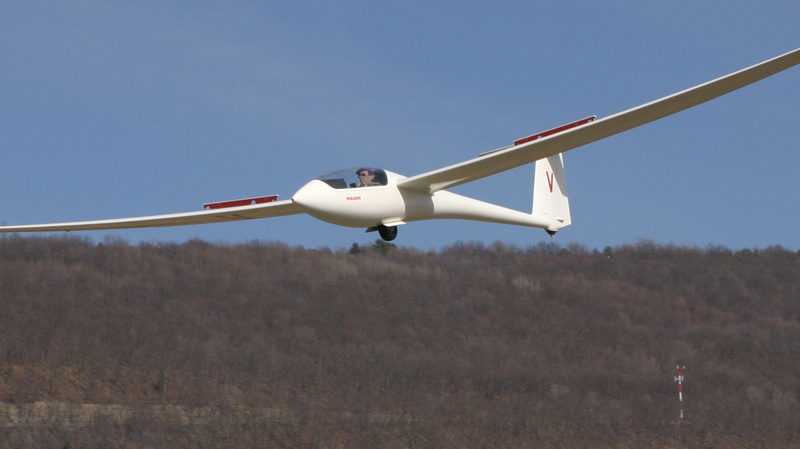 From its introduction until the late 1980s, the 2-33 was the main training glider used in North America. Ours was built in 1984 and purchased from the Wings of Eagles Museum. The 2-33 was designed to replace the Schweizer 2-22, from which it was derived. The aircraft first flew in 1965 and production was started in 1967. Production was completed in 1981. 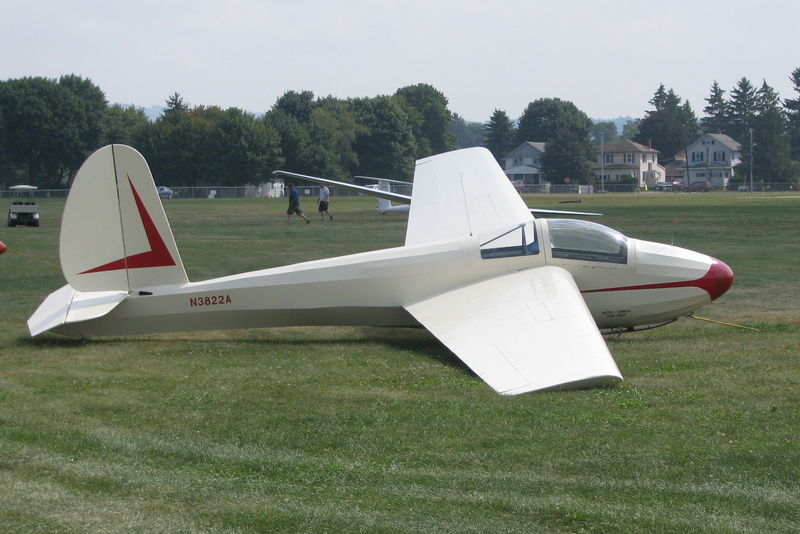 The glider is exceptionally rugged, and is noted for its low stall speed, docile stalling characteristics, is capable of a very short landing distance, and wide range of weight in each cockpit. Our glider has blocks that can be rotated in front of the rudder pedals to accomodate shorter legged people. Description: The Citabria is a light single-engine, two-seat, fixed conventional gear airplane which entered production in the United States in 1964. Designed for flight training, utility and personal use, it is capable of sustaining aerobatic stresses from +5g to -2g. 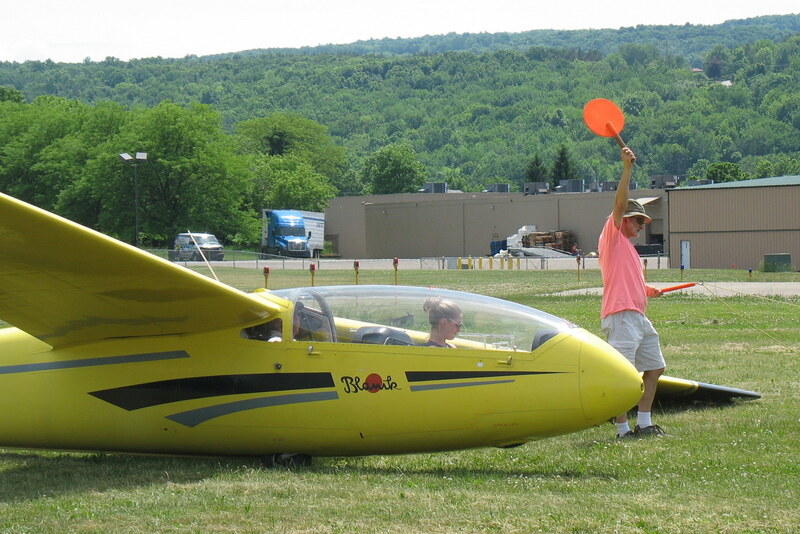 We use the aircraft for Spin training, cross country field selection, tow pilot checkouts, and as a backup towplane for our lighter gliders. Its name spelled backwards is, "airbatic". Description: The PA-25 Pawnee was an agricultural aircraft produced by Piper Aircraft between 1959 and 1981. 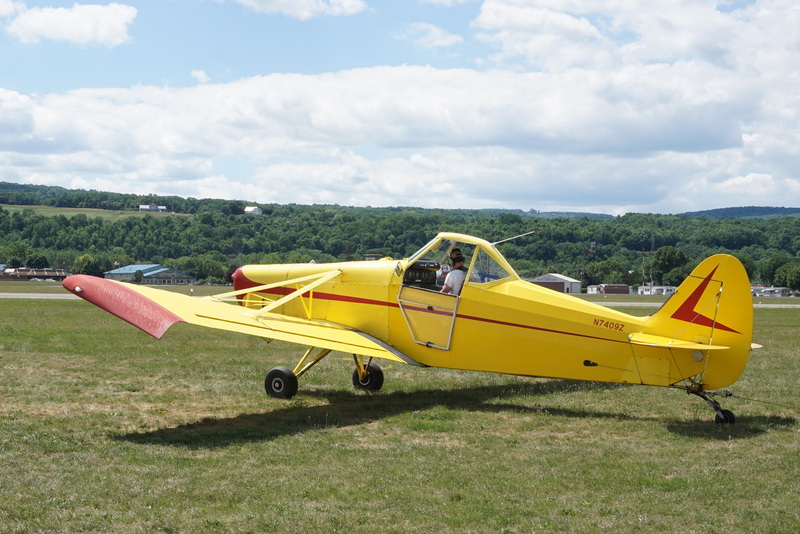 It remains a widely used aircraft in agricultural spraying and is also used as a tow plane, or tug, for launching gliders or for towing banners. In 1988 the design rights and support responsibility were sold to Latino Americana de Aviación of Argentina.